When you decide to sell a San Diego property in probate, the first thing you must consider is your timeframe, and what will work best for you, as the personal representative of the estate. Timing will drive everything else; from there you can build a strategic, specific action plan with your certified probate real estate advisor to make sure no pertinent tasks are missed. Regardless of whether it’s something that you’ve been thinking about for the last few weeks or have thought about, talked about, mulled over for a few months or years, you’ll appreciate sitting down for an hour with an experienced guide by your side to help prepare you for the journey. What I’ve noticed is when it’s an immediate life experience that makes it necessary to move quickly, it’s a relief to know that someone is going to help take care of all the details. These are the details that you, as the personal representative of the estate, may not know about or simply don’t have time for because you still have your full life to manage on top for the unfamiliar task of selling a property in probate. Let’s use this example, your loved one has passed away and you’re responsible for their estate, the property is in another city or state from where you live, and there are many details that must be addressed. Often there is a need for immediate relief to have this all handled by someone who lives close to the property (which in this case is not you), this is one of the many situations were having an experienced professional available to you is imperative. Other PRs, like you, have shared that knowing they have the help needed to make all the decisions and orchestrate those decisions, is priceless. Having a professional orchestrator to get it all done and keep you informed of the process while you go on with your daily life allows you to feel comfortable and meet the timeframes that are required for completing the San Diego probate. 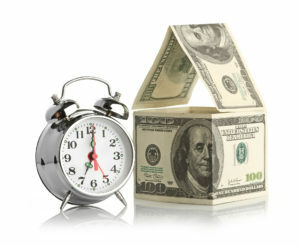 When timing requires you to move quickly, having experienced professionals, your attorney and your certified probate real estate advisor, handling details while you’re elsewhere, can be a relief. When I am your certified probate real estate advisor, you can be where you physically need to be while critical details are being handled. This includes all the frequent and necessary communication to you every step of the way. What your certified probate real estate advisor can help you understand is realistically what can get accomplished in what timeframe. While you might be perfectly capable of doing things yourself, to help shorten the timeframe and the burden, you may choose to outsource certain tasks to someone else enabling you to get the San Diego probate property on the market quicker. This is why we have a list of trusted vendors who we have used time and time again available to our clients including handymen, estate sale experts, buyout companies, cleaning companies, termite companies, plumbing experts, and many more. Many improvements go a long way to defending equity and it’s important to consider cost effective repairs for the home. The timeframe chosen by you and financial state of the estate will determine what gets done, how things get done, and when we can help with prioritizing. Having trusted vendors will make it less stressful to have someone else do some repairs and preparation. We take care of our executors and administrators throughout the transaction process because selling a home can be one of the most stressful things one does in life, especially with the addition of mourning the loss of a loved one. The timing is often like a pressure cooker so we get organized and make sure that things don’t explode. We know how to get you through the process in a calm, organized way, and get help when you need it. Having a skilled, experienced, and focused guide by your side who can lay out some different options around timing is critical. I will help you determine the time it would take for you to do it yourself, including material cost, and then weighing that out against the estimate of someone else doing the work. That way you can determine how much of your valuable time you want to use versus paying someone else to do the work. You’ll have concrete comparisons so you can make the best choice for your unique experience as a San Diego estate representative. It’s all about what’s most important to you while you are selling the San Diego property in probate. The good news is that you can rely on me as your go-to person, your guide by your side. If you need guidance from a certified probate real estate advisor call me today at 619.741.0111, I look forward to speaking with you.